Many people who desire to straighten their teeth hesitate to actually start orthodontic treatment. One common issue that can hold people back is the idea of having metal braces. Because these type of braces are conspicuous, and not removable, they can feel like an intrusion. If you want to enjoy the benefits of orthodontic work without metal braces, you can meet with your St. Louis, MO dentist to discuss Invisalign. Using Invisalign aligners for your orthodontic needs means straightening your teeth with a discreet and easily removable device. Invisalign offers patients the opportunity to use an orthodontic appliance that will not affect the way they look. The clear plastic material ensures that your smile can appear natural throughout your adjustment. Your ability to remove your aligner makes it easier for you to eat, and to clean your teeth. 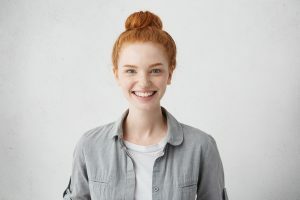 Ultimately, the advantage to orthodontic treatment with Invisalign is that you can see the results of a straightened smile, without experiencing the frustrations of traditional braces. Because your smile can look remarkably better after you straighten crooked teeth, you can easily consider Invisalign a purely cosmetic dental procedure. In addition to improving how you look, orthodontic dental work can have benefits for your oral health, as you can straighten your bite alignment and reduce jaw strain. You can also fix overlaps where food debris and oral bacteria are likely to accumulate. This reduces the possibility you will accumulate calculus on your smile, and experience problems with cavities. At Magnolia Family Dental, you can enjoy the exciting benefits that come with an orthodontic treatment using Invisalign aligners. Our practice is proud to offer this modern approach to smile care for individuals in and around the St. Louis, MO area. You can find out more by calling Magnolia Family Dental in Kirkwood/St. Louis, MO, today at 314-822-4521.